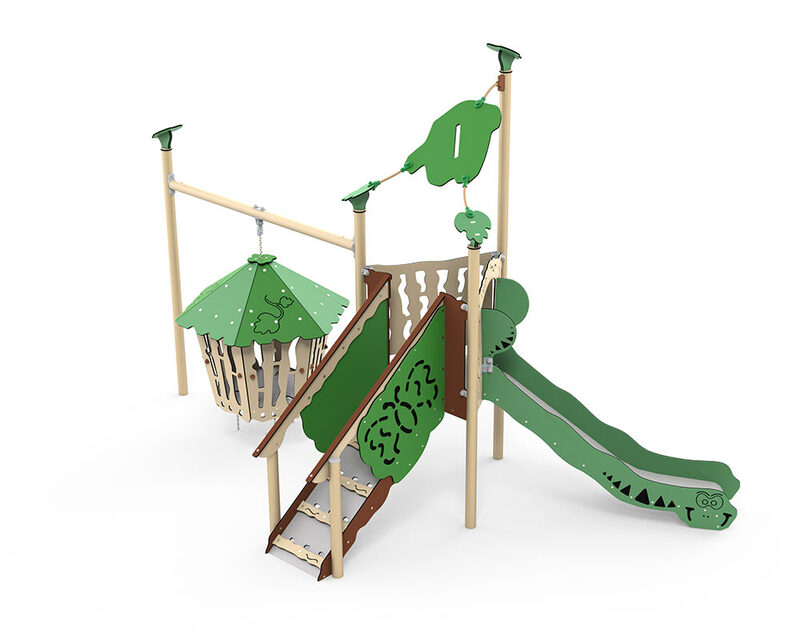 With its triangular floor, Suri is one of the more compact play systems in the Explore series. In addition to the ramp and slide, Suri has a moveable jungle hut, where children can exchange secrets and tall tales. And with all the holes, adults can keep an eye on the children without interfering. It has a drop height of 90 cm, so it is a good idea if the system stands on grass. However, this is not always recommended, as grass soon wears out, and the ground becomes too hard to function as a suitable safety surface. LEDON is a Danish family-owned company which has all its production in Denmark. This means that we have short delivery times, and that we can quickly turn around orders for play equipment. If you have any questions or require further information, you are always welcome to call us on tel. +45 74 82 65 65 or email us at info@ledon.dk.